The regular Council Meeting of September 10, 2012 was called to order by Mayor Charles Norskog at 7:30 P.M.
Mayor Charles Norskog, Councilpersons Richard Hawkins, Thomas Sims, Lisa Stephens, and John Ruymann answered roll call. Mayor Norskog reported Councilmember Fallow would be arriving late. Councilmember Fallow arrived at 7:50 and apologized for being late. Motion was made by Councilperson Hawkins and seconded by Councilperson Ruymann to accept the minutes of the regular meeting of August 13, 2012 as written. Motion carried. Debra Baker from Oakville’s Timberland Library gave an update on the proposed “new” facility and urged the council to sign the letter which is only giving support to move forward with the project. She also stated the plans would be going before the school board at their meeting towards the end of September. B. Meile voiced his concern of excess speeds being driven in the Newton, Alder, Grace Streets area all summer long. His quote for the evening was “With age comes wisdom”. Pastor B. Scholl wanted to encourage the Council to sign the letter endorsing the Timberland Library. Mayor Norskog reported the drinking fountain at the park would be ready to use in just one or two more days and the next project he would like see happen is a place for the city’s youth to have a skate board ramp. He will contact the City of Napavine and see about getting a piece of their ramp because he heard they weren’t utilizing it. He became concerned and interested in this when he saw the kids were using the park’s picnic tables as ramps. ATTORNEY’S REPORT: The City Attorney submitted a written report of Legal Activities which is in the packets. He answered a few questions regarding his report and also stated the he would keep everyone informed on the interlocal agreement. POLICE REPORT: Lieutenant Porter of the Grays Harbor Sheriff’s office handed out a written report and stated he would answer any questions. There were none. Water: Dan Thompson submitted a written report for August. He was available to answer questions. Streets: Written report in packet. Councilor Hawkins would like a hydrant report on the condition of the older fire hydrants. 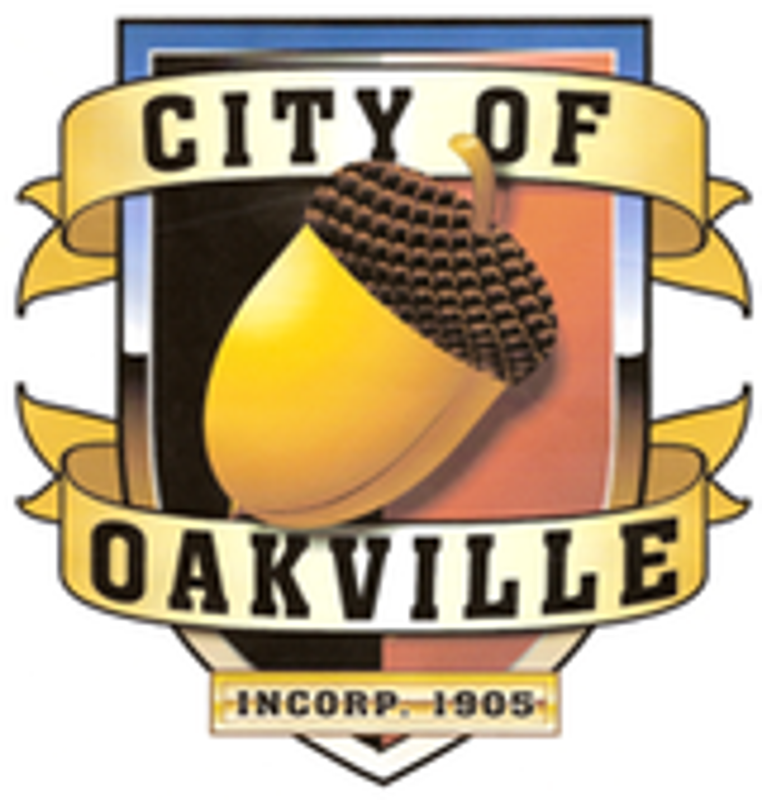 A Flood Authority Update was included in Council packets, submitted by Dan Thompson, Oakville’s representative on the Flood Authority Council. Dan stated he would be unable to attend the September Flood Authority meeting. Councilmember Hawkins had some questions and concerns. It was suggested that perhaps he might attend the next meeting to resolve the issues. Water Meter: Councilor Ruymann made a motion to allow Dan to proceed with the $3,233 project as was submitted in packet. The motion had a second from Councilmember Stephens. Discussion: Councilor Hawkins stated the monetary amount should be increased to $3,500 to cover any incidentals that may be needed. Motion carried. Comprehensive Solid Waste Management Plan: Tabled until next workshop meeting. Resolution #384: NOTE: Not used for GHC Solid Waste. Number given to Business License Fees. Tabled until next meeting. Resolution #385: GHC Comprehensive Solid Waste Management Plan - Tabled until next workshop meeting. Ordinance #592 Dispensary Moratorium: Councilmember Stephens made a motion to adopt Ordinance #592. Councilor Sims seconded. A roll call vote was taken. Motion passed: 4 in favor / Councilor Hawkins abstained. They reminded everyone there would be a public hearing on Ordinance #592 on October 22. The City Clerk submitted Checks #17004 thru #17011 dated 08-27-12 in the amount of $2,228.16. Checks #17012 thru 17031 dated 09-06-12, in the amount of $20,822.70. Payroll Checks #11758 thru #17031 dated 08-31-12, in the amount of $11,877.88. Motion was made by Councilperson Fallow and seconded by Councilperson Hawkins to accept the Clerk’s Report as presented. Motion carried. Citizen’s Comments: B. Meile commented on business licenses. COUNCIL COMMENTS: Councilor Fallow said she had enjoyed the rain shower today. Councilmember Sims didn’t want summer to end.